Corrugated plastic pipe is strong, light and extremely flexible. It can be utilized for a myriad of products, many of which we see, use, or handle everywhere, everyday – from the dryer hose in the laundry room to automotive hosing under the hood; from appliances to sewage and drainage applications; from cable ducting to medical tubing. But although corrugated plastic pipe is virtually ubiquitous, if it weren’t for the tenacity, skill and vision of one man, it’s very likely there would be much less of it around. 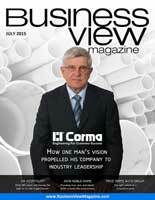 The man in question is Manfred Lupke, President and CEO of Corma, Inc., today, one of the world’s leading producers of the machinery and die tooling equipment for corrugated plastic pipe manufacturing. His story is a poignant reminder that being true to one’s ideas and ideals is a quality that benefits not only one individual, but potentially the whole world, at large. Manfred came to Canada from Germany in 1969. Although trained as a mechanical engineer, he did not have the necessary credentials in his new home country that would have allowed him to work at the high level of expertise for which his education had prepared him. So, instead, he took a maintenance job at a small manufacturing company in Toronto. One day, Manfred’s boss came to him, holding a four-inch piece of plastic drainage tubing, and asked him if he could build a machine that would make a similar piece of piping. Manfred had no experience with plastics and no idea how to proceed. But being the kind of person he was, he took on the project, anyway. figured out a way to build a machine that, years later, was to be merely the first of this inventor’s 848 separate patents for innovative engineering. Manfred’s boss sold his early machine two or three times to plastic pipe producers, but then came the Arab oil embargo of the early 1970s. When the price of oil started to climb, the conventional wisdom maintained that the price of plastic – a petrochemical product – would be too high and that end-users would switch to other materials for their piping. Once again, Manfred took leap of faith. 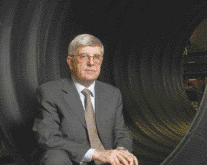 Convinced of his own abilities and the expectation that there was a great potential for plastic pipes, he struck out on his own and created his own company in 1973. Now, some 42 years later, Corma machines turn out corrugated plastic pipe products in almost 100 countries around the globe – approximately 1500 installations, in all. Its Concord, Ontario plant, though, is the only one in the world authorized to produce equipment employing Corma’s patented designs and technology. However, the company doe have offices, sales agencies and service centers in Canada, the United States, Germany, Slovakia, Portugal, Ireland, Turkey, India, China, Japan, and El Salvador. And each machine that Corma builds is customized to the specifications of the client. 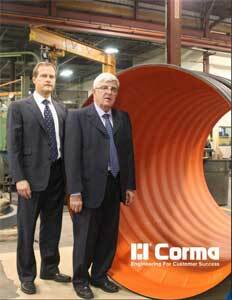 Corma makes no pipe, itself. According to Stefan, it was an early decision by Manfred to “only be a machinery guy.” That way, his customers would have the confidence that Corma would not compete with them up the road, nor hold any of its proprietary technology, back. When working with new customers, Stefan outlines the process: “We’ll design the pipe profile; we’ll give them advice; and we’ll help them organize by starting up the line and training their people. Then they are able to run the line. Corma is in the background, offering service support and a three-year warranty. Corma Inc. is also a very involved community citizen. The company sponsors local sports teams, church groups, and various charitable organizations, and Manfred was on the board of a local hospital. In fact, Corma’s CEO was recognized three years ago for his community work when he was awarded the Queen’s Diamond Jubilee Award for Community Service. 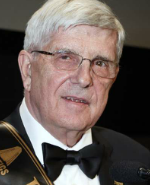 In addition, his many contributions to the plastics industry was rewarded this past spring when he was inducted into the Plastics Hall of Fame, at the International Plastics Showcase event in Orlando, Florida. Isn’t it amazing what one man can do?